Much announced today the next group of A-list talent confirmed to appear at THE 2016 IHEARTRADIO MUCH MUSIC VIDEO AWARDS. MMVA winner and JUNO-nominated singer-songwriter Shawn Mendes, hip-hop artistDesiigner, Grammy Award-nominated singer-songwriter James Bay, multi-platinum, JUNO and MMVA award-winning Canadian rockers Hedley, and JUNO Award-winning indie rock band July Talk are set to belt it out on THE 2016 IHEARTRADIO MMVA stage. 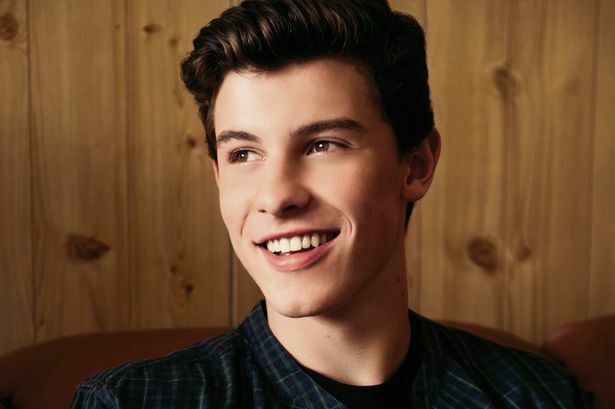 Mendes, who is back after a stellar performance at last year’s MMVAs, is confirmed to sing his new single “Treat You Better” live on stage in the world broadcast premiere. This new single, which comes out June 3, is the first from Mendes’ forthcoming album dropping later this year. First time MMVA performer Desiigner is set to wow the crowd with his smash hit, “Panda”. Much also announced a star-studded lineup of presenters including “Dancing Kizomba” pop singer Alx Veliz, digital influencer and model Cameron Dallas, model Hailey Baldwin, PRETTY LITTLE LIARS star Lucy Hale, singer and actress Sofia Carson, and Canadian hip hop artist SonReal. This latest round of outstanding talent join previously announced performers singer-songwriter Alessia Cara, pop supergroup Fifth Harmony, pop singer and actress Hailee Steinfeld with B.C. hit-maker Shawn Hook, hip hop duo Macklemore & Ryan Lewis, multi-platinum recording artist Nick Jonas, Canadian indie pop duo Tegan and Sara, and presenters author and actress Amber Rose, and comedic entertainer and YouTube sensation Lilly Singh. Hosted by international supermodel Gigi Hadid, ETALK reporter and Much host Liz Trinnear, and Much and E! host Tyrone Edwards, the iconic awards show airs live in stunning 4K Sunday, June 19 at 9 p.m. ET on Much, CTV, Much.com, and VRAK. Just before the main event, E!’s Chloe Wilde and comedian and Much Digital Studios creator Jus Reign welcome the biggest celebrities to the #MMVAs carpet as hosts of THE IHEARTRADIO MMVA RED CARPET at 8 p.m. ET on Much and Much.com. Join the conversation online at #iHeartRadioCA #MMVAs. Fans looking for a chance to secure wristbands for THE 2016 IHEARTRADIO MMVAs can register online at Much.com beginningWednesday, June 1 at 4 p.m. ET. For all the latest info, fans can check out Much.com, Twitter, Instagram, and Facebook. Additionally, fans across the country can tune into select local Bell Media radio stations for a chance to win wristbands. Fans are invited to count down to THE 2016 IHEARTRADIO MMVAs on Much.com, Instagram, and Twitter to get the latest announcements on performers, presenters, celebrity guests, and the chance to win big prizes. Additional talent announcements will be released in the coming weeks.